Established in 2007, Tucson Natural Medicine Center is a full-service, professional healthcare clinic serving clients of Tucson, Oro Valley, Green Valley, Sahuarita, and Vail, AZ. Our goal is to provide the highest quality of care as well as promote health, wellness, and a lifestyle that will help restore wholeness to your life. We hope to exceed your expectations of professionalism, focus, and compassion while addressing your concerns and care. Tucson Natural Medicine Center is the expert practice of Jeremy Breach, a Board-Certified Diplomate of Acupuncture & Oriental Medicine and Arizona State Licensed Acupuncturist. A 2007 graduate of immersive, apprenticeship-style training at Seattle Intstitute of Oriental Medicine, Jeremy received excellent education, supervision, and guidance from leading minds in Chinese/U.S. Clinical Practice of East Asian Medicine. With continual study and practice, Jeremy has performed over 10,000 acupuncture treatments. Please see "About Us" for more info! We provide expert Chinese and Japanese styles of Acupuncture, Moxibustion and Cupping, as well as Herbal Consultation and Prescriptions from our herbal pharmacy to address a wide variety of complaints at TNMC. Please see Treatments and FAQ for more information on treatments and methods. Acupuncture and Oriental Medicine (AOM) is a form of healing that has continuously developed, maintained, studied for over 2500 years. In the last 60 years, the Chinese government has spent millions of dollars on research which has scientifically proven the effectiveness of this medicine. 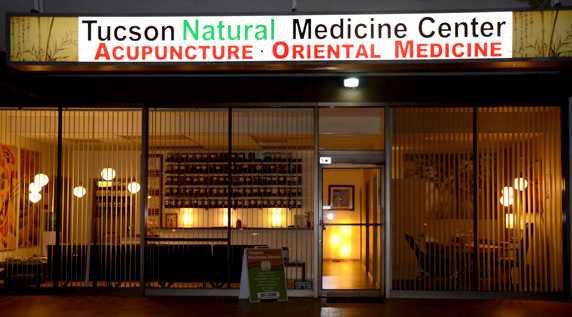 Tucson Natural Medicine Center offers acupuncture, herbal prescriptions, and other treatments at our clinic in Tucson. If you do not see your condition/disease/diagnosis here, please call our office at 520-351-2285 as we offer treatments for more conditions than those listed below. In addition, Acupuncture has been used for centuries throughout Asia to treat hundreds of other problems. Please contact us with any questions or concerns you may have. Copyright © 2019 Tucson Natural Medicine Center. All Rights Reserved.